Humans perceive their surroundings only in small fractions. Standing on top of a small hill, overlooking the sandy beach on the island Gili Air, soaking in the salty breeze coming from the endless blue ocean that lies deceivingly calm in front of us, one cannot help but marvel upon the incredibly beauty and serenity this place emits. But it only takes a small 45 degree tilt of the head to the left or right and the picture changes to utter devastation: families standing in front of ruins that used to be their homes up until a couple of days ago. Dogs roaming the streets with open wounds, desperately looking for something to eat. Loose horses that anxiously swing their tails, seemingly expecting the next earthquake. 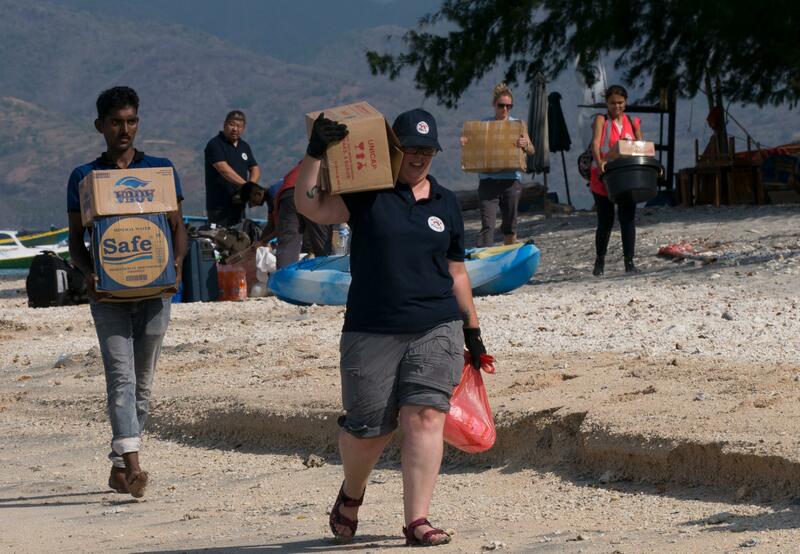 Once disaster hits, it hits fast - the people in Lombok and the Gili Islands learned that the hard way. The quakes, which centered on northern Lombok, left at least 400 hundred people dead, 1033 seriously injured and dislocated more than 350.000 other. Once known as a place for exotic diving, summer parties and honeymoons, the islands are now a place of sorrow. We can all watch this in the safety and comfort of our homes on the late night news - but what we don't see most of the time are the animals that are neglected once catastrophy strikes in order so save human lives. The FOUR PAWS team is currently on a risky mission to provide aid for the cats and horses that were left behind once the inhabitants fled their destroyed homes. They don't have access to fresh food or water and by helping them, we also want to support the community get back on its feet as soon as possible: as there are no motorized vehicles, the people living on the island are completely dependent on horses for transportation. Animals can live without humans, but humans cannot survive without animals. Humans see nature and they think it is beautiful. They should look at nature and see energy. If humans mess with animals, they mess with the balance of the ecosystem and the system will collapse. We must respect animals as the wonderful beings that they are. Stop and observe. Observe the animals and learn from what they have to teach. 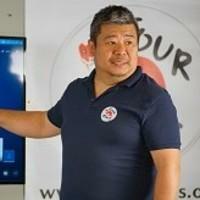 The devastating consequences of the disaster will be a rebuilding process for years to come. The rebuilding efforts will go on long after the media has lost interest. 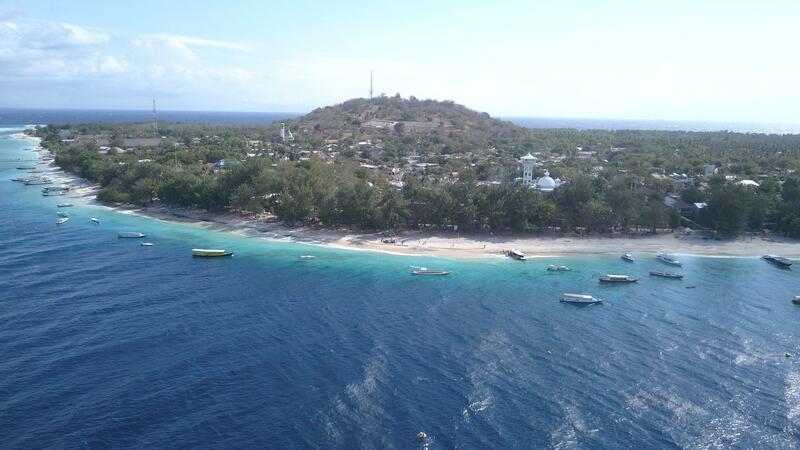 On Gili Air, a small island between Lombok and Gili Trawangan, there are more than 100 horses roaming loose. Scared, dehydrated and injured, they are a danger to themselves and to the people on the island. One of the neighbouring islands, Gili Trawangan, is home to around 400 cats. Some of them have already been brought to a vet clinic in Lombok, but the rest is still left on the remote island waiting for care. Some of the cats are scabious and in serious condition. Our rescue team will have to act fast. The devastation saw homes flattened, roads destroyed and some buildings are still in danger of collapsing. Without proper care, food and water, the animals' chances to survive are slim. 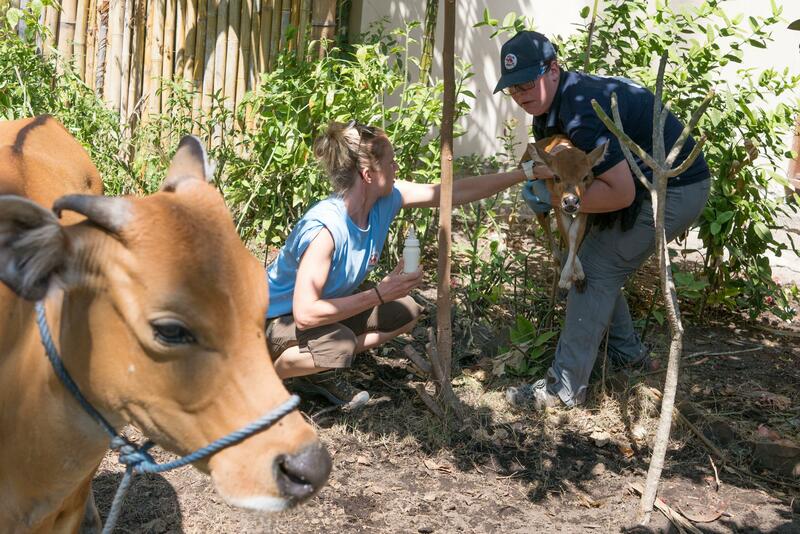 Please help our Disaster Relief Unit save animals all around the world! 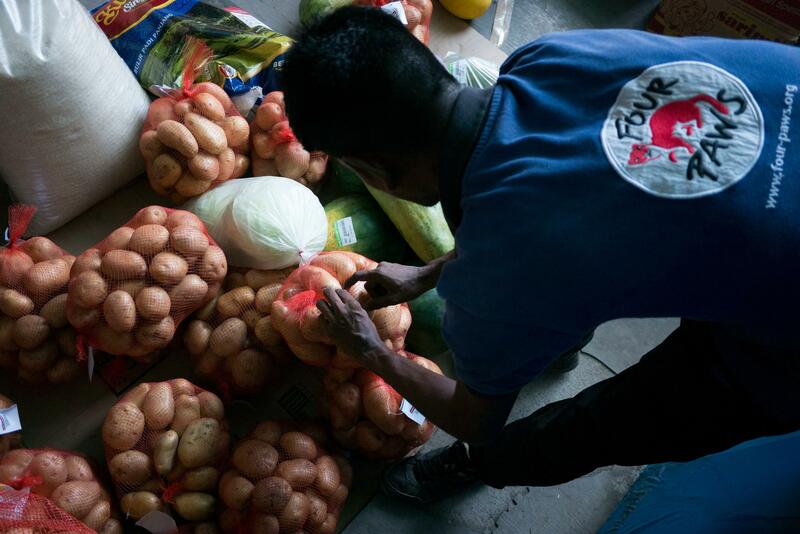 With your help we can make sure they are safe. 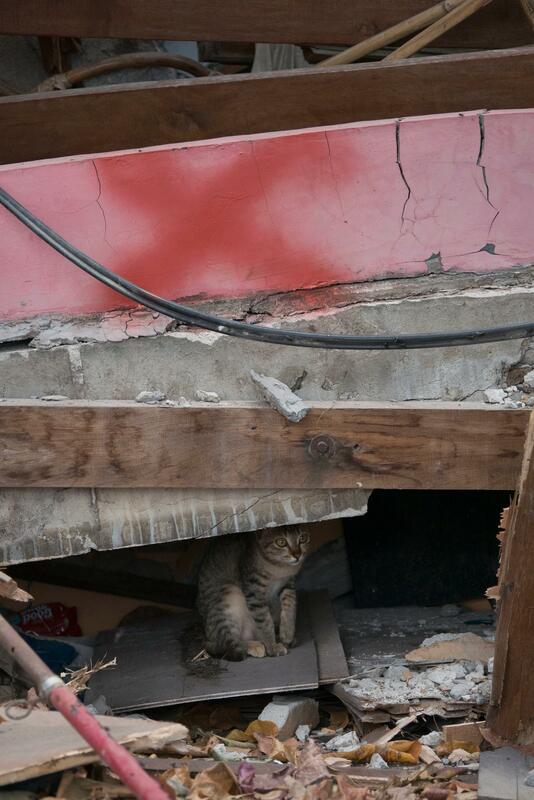 Even when the earth is not shaking, danger is still imminent: while we were feeding two cats close to a mosque, all of a sudden the building started to collapse in itself. Fortunately nobody got injured but it was a warning shot for us to always stay alert. 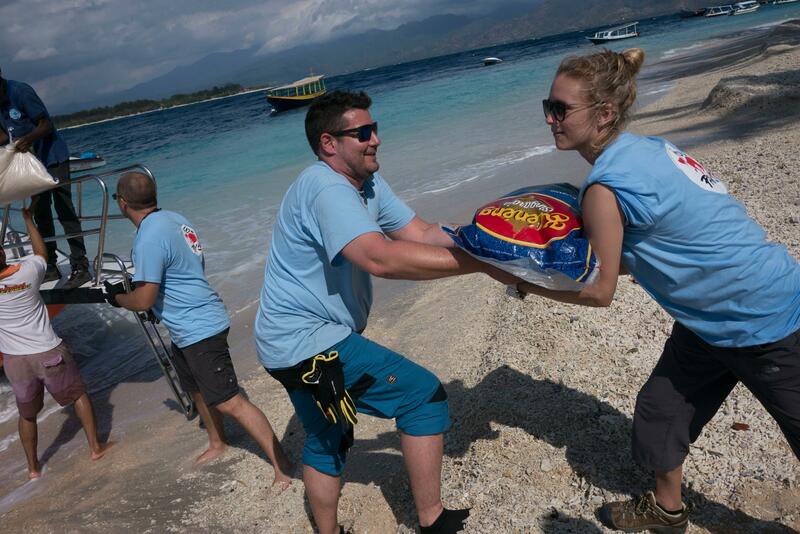 FOUR PAWS was generously offered a transport boat from Bali to the Gili Islands entirely for free. 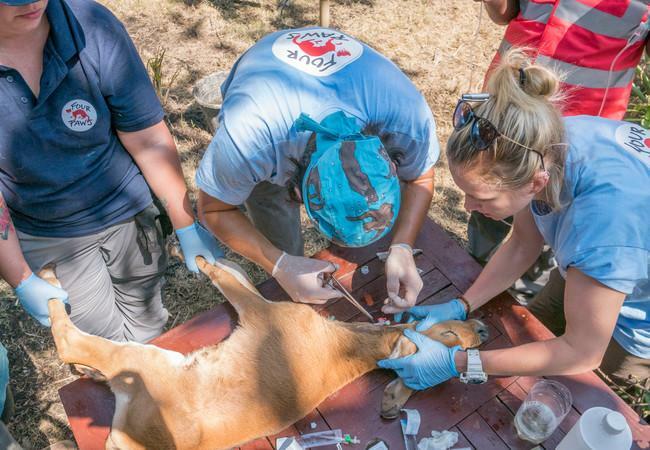 This is because the team has demonstrated to local authorities that our aim is not only to treat the animals left behind, but also to help the communities recover from the terrible losses they have endured. The FOUR PAWS disaster relief team has organised over three tons of horse food and over five tons of cat and dog food, which will help to support the animals and their owners for the next two to three weeks. 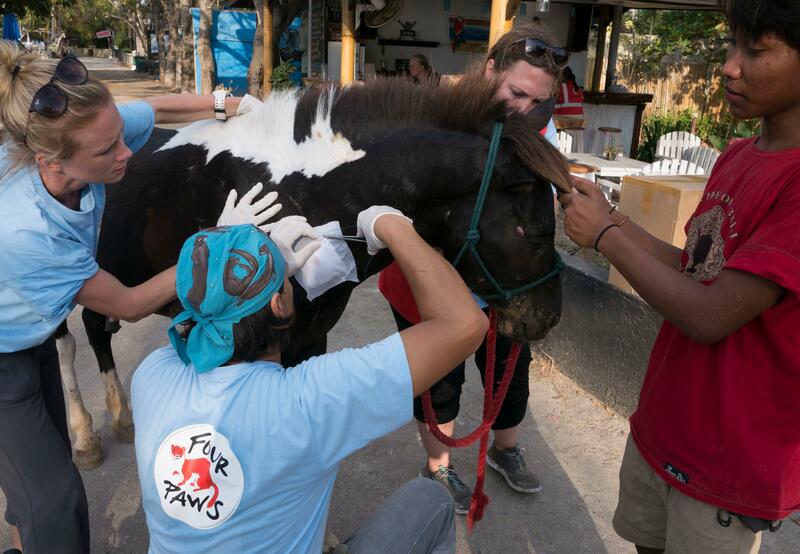 While we are the only global animal welfare organization that was authorized to provide help, we have joined forces on site with several local groups, among them the Bali Animal Welfare Association, Jakarta Animal Aid Network, Horses of Gili and Cats of Gili. 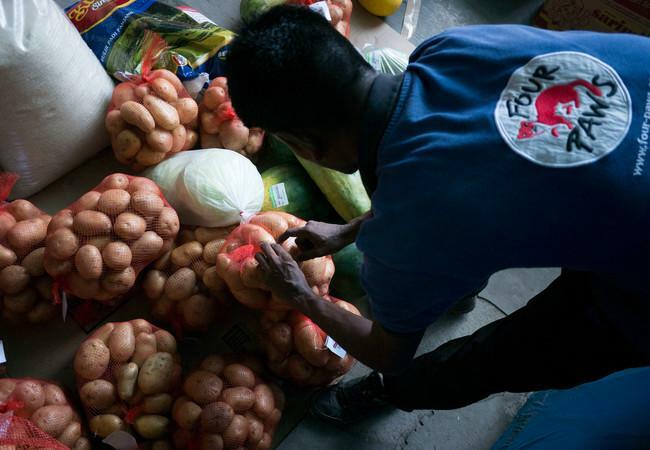 The local population fled their homes and is now living in settlements around Lombok Island waiting until the tremors cease. Our brave team is still on the ground, sleeping on the open field, next to buildings that might collapse at any time. We wittnessed the second 6.9 quake and it was scary to feel the ground shaking and see buildings around us collapsing. Still, this is nothing compared to how the people here must feel with no homes to return to. 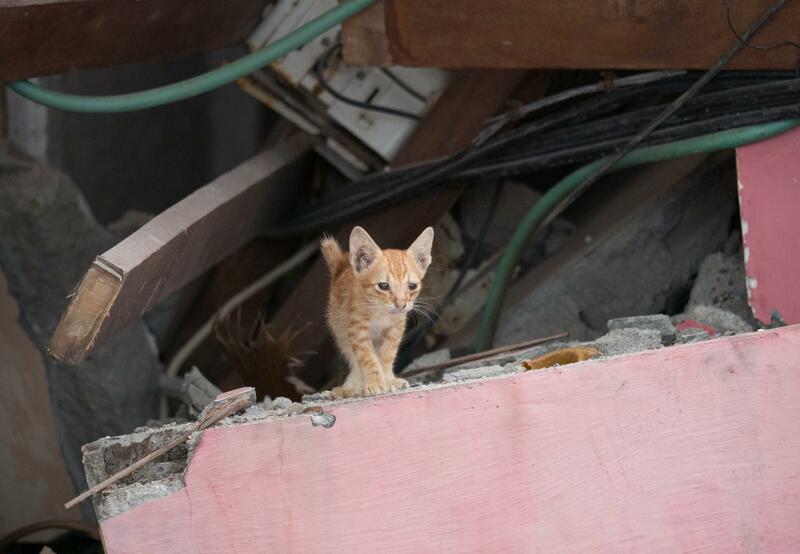 We do our best to help them by supporting their animals so they can take care of their families and slowly rebuild their lives. While we are able to provide immediate help for the problems on the surface such as injuries, food and water, we are well aware that it is especially the wounds that you cannot see that will take the longest time to heal.